Born into a bed of artistic genius, one can’t be surprised at the natural talent of seventeen year-old Sonya Kitchell. Yes, I said seventeen. Don’t go trying to figure out what year it was that she was born (it was 1989,) because it will just make you feel like an underachiever. Just rush to your nearest Starbucks, and pick up a copy of Kitchell’s debut album, “Words Came Back to Me.” With the voice of a modern-day Joni Mitchell crossed with Norah Jones, and even a few flirty Sinatra hints, this old soul has brought forth an album of great emotion and variety. 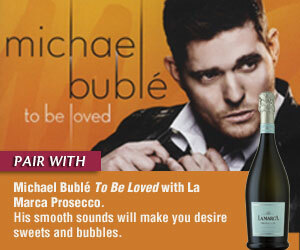 Pair this with a bottle of Clos LaChance 2003 Santa Cruz Mountains Chardonnay, perfect for every meal or dinner party. 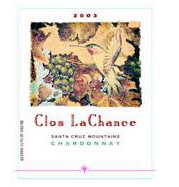 With notes of pear blossom, mineral, and tropical fruit, Clos LaChance 2003 Santa Cruz Mountains Chardonnay is a choice accompaniment for poultry or fish, and is ideal for dinner parties. 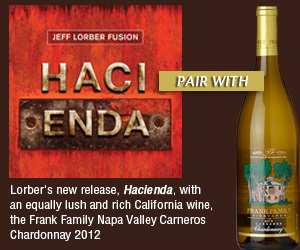 With a rich acid backbone and a long lasting finish, this wine is perfect right now, and will continue developing over the next five years. A favorite Kitchell track is ‘Train.’ This jazzy, moving tune is the soundtrack to a mellow night with friends or a loved one. “Train’ is about things going really fast, and wanting it to be fast and wanting it to slow down at the same time, and not being able to make up my mind,” Kitchell says. This same wisdom is found in the heart-tugging tracks ‘Can’t Get You out of My Mind,’ and ‘Words.’ “Words Came Back to Me” is a boon to every folk and jazz-lover’s collection. Enjoy its subdued melodies with a bottle of Clos LaChance 2003 Santa Cruz Mountains Chardonnay, for a night of pure relaxation and fun.